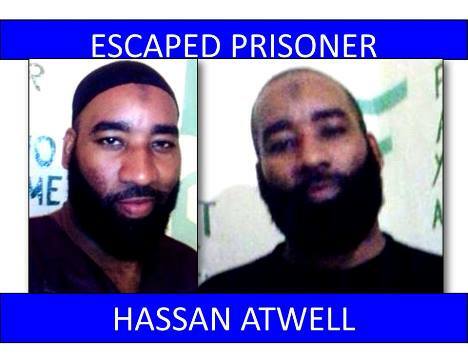 Prison escapee Hassan Atwell, 41, has been killed. 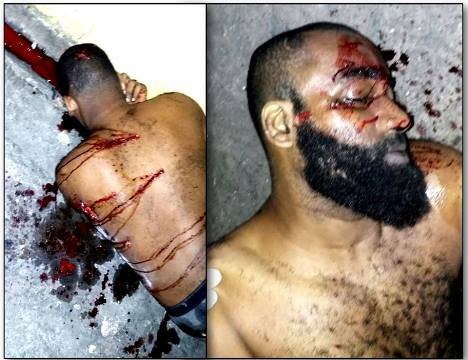 Reports are that Atwell was not killed by police but by members of the Rasta City gang. Atwell was shot multiple times in the back and about the body at Calgary Hill , Port of Spain and his bullet riddled body was found by police around 12.30 this morning. Atwell was said to be unarmed. Pictures of his bloody body were posted on social media. The images show Atwell slumped in the ground with bullet holes on his back and head. On Friday, Atwell together with 42-year-old Allan “Scanny” Martin, one of the men on trial for the kidnap and murder of Xtra Foods CEO Vindra Naipaul-Coolman and Christopher “Monster” Selby, 30 escaped from the Port of Spain prison. Martin was shot dead in a shoutout with police. Atwell had a string of charges against him, including kidnapping, possession of a firearm, robbery and sexual assault. Selby, who remains at large, is facing two charges of murder unrelated to the murder of Naipaul-Coolman. The three prisoners managed to get their hands on two 9mm firearms and a hand grenade which they used to escape from the Frederick Street prison . They pointed their weapons at a group of prison officers and ordered a gate attendant at the jail to open the doors. With their weapons fully visible, they then ran to a dark blue four-wheel-drive Nissan Navara, which was parked on the roadway outside the prison, in an attempt to flee the scene. One of the men threw the grenade onto the roadway and it landed in the drain in front of the prison. It did not go off. There was a chase through Port of Spain and Martin was killed in a shoutout with police at the Port of Spain General Hospital. PC Sherman Maynard , 27, was killed during the prisoners dash for freedom. Anyone with information on Selby who is still on the run can contact the police at 999, 555 or 800-TIPS. 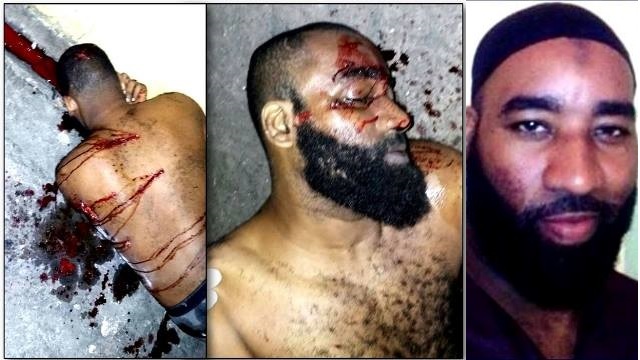 Police Commissioner Stephen Williams has confirmed that Hassan Atwell one of the men, who escaped from the Port of Spain Prison on Friday, was killed last night. He has however denied reports, which state that Atwell was killed by Police. 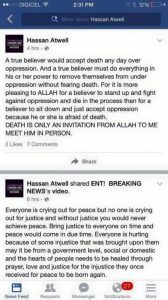 He said Atwell’s death will be treated as a murder. TRINIDAD — Police Commissioner Stephen Williams confirms that Hassan Atwell was killed in POS at around 12:04 AM. He has however denied reports, which state that Atwell was killed by Police. 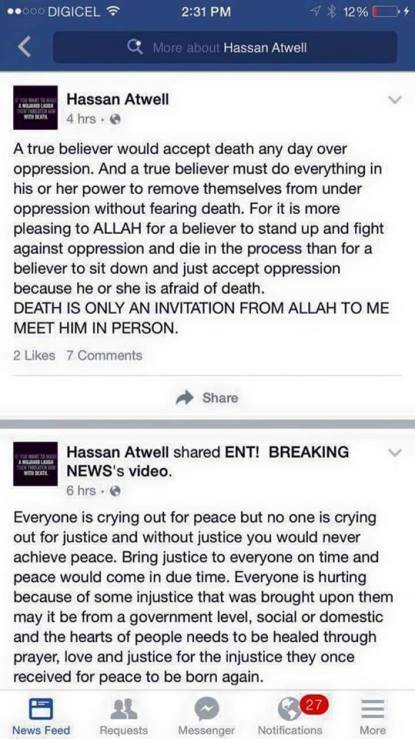 He said Atwell’s dead will be treated as a murder. Beyond The Tape’s Facebook Page posted a Exclusive picture of Hassan Atwell dead on the ground he was shot multiple time by unknown assailants . As soon more official detail come in we will update you on this story.